Persona Kurama had the most liked content! People often wonder on how to begin a story. Well, I say you don't. A story begins itself before any words hit the paper. It is something that isn't forced, but rather simply happens. My story is much the same as this. I am not here writing to begin a story, I am continuing one. So let us continue forth. I am Persona, a lone wolf not out of choice. My parents are typically unknown to me as I have no recollection of them ever existing except for the same foggy images I see that appears within this one reoccurring dream I get ever so often. I know for a fact, however that I am of Hyuga lineage as I am gifted in the Gentle Fist Technique and share similar qualities in appearance of that of the Hyuga. Whether I am of pure-blood or some some kind of mutt, I do not know. I have grown up alone in the streets of Konohagakure and yet you would never see me sleeping there for I am out training and carrying forth missions brought forth from our Kage whenever given the chance. Now that I am a Genin I am hoping to make something out of myself before it is too late. I hope I am destined for a greater life then what I have grown accustomed to growing up. After several attempts at the Chunin Exams and failing even though I passed the courses given to me I was left baffled. Sitting on the side of a tree by the training grounds I groaned my complaints. How was a street urchin like me ever to get any type of status? It was useless. That's when I saw him, my twin Caliber! He revealed to me my origins and better described to me the people in the dreams I have been seeing. The man with such dark brown hair it could be mistaken for black and my mother who did have in fact black hair, but possessed a special ability that when filled with chakra it turns blue. Caliber showed that even though I was a Hyuga on my fathers side, my mother special ability had carried on to us and that when we charged our chakra our hair turned a light blue! On my trip to my favorite restaurant in Sand I met a wonderful woman. Her name was Hinata Hozuki and she had the hair of gold. I could smell her scent of flowers across the restaurant as the sight of her captivated me. Who knew a ninja like me could fall for someone as so. I approached her in a nervous wreck, unable to control myself. She laughed at the sight of me, but reassured me that she thought I was cute. Together, we decided to start a family and had our loving daughter Hanabi Hyuga along with our son Neji Hyuga. I laid in deep slumber against one of the training posts outside of the Leaf Village. The cool air periodically rustling my hair as time moved on. Everything was as peaceful as ever until the flashes began. My eyes began to twist to the back of my skull and from an outside point of view you could see my whole body convulsing. "....Awaken", said a hollow voice as it descended itself into my very psyche. Then appeared a man with long hair that fell to his legs. I began to falter at the sight of the man realizing he was in my head. "Who is there? Reveal your intentions! ", I demanded. I kept trying to get a hold of myself, but it was no use. I could simply not concentrate with the background shifting at every second. STOP, I shouted in my head. The effects were near instantaneous. The whole background scenery became crystal clear. We were in the middle of the snakes lair surrounded by other individuals, but they did not stir. My eyes drifted back to the person at attention and noticed he was staring directly at me. "It is I, Yuma. Awaken to your power", the man spoke. This time his voice was much more loud, deafening even. I grasped my head hoping it would not fall off of my own shoulders. "Power? Get out of my head! ", I screamed. I could no longer bear the resonance of his voice. It kept echoing and echoing. "Power. Yuma. Awaken". I awoke at last when a hawk landed on my chest pecking at my cheek. I pulled the letter off of the creature curious at what it's contents might entail. I read the letter out-loud reading, "I have sensed you, come. ~Yuma." The dream was real? The dream was real. It had to be the same Yuma. There could be no such coincidence as this. I looked around for my family who were not to be seen. I am alone. Is this really wise of me to go? I must, I thought to myself. I departed at once. At first there was no one, then there was everyone. 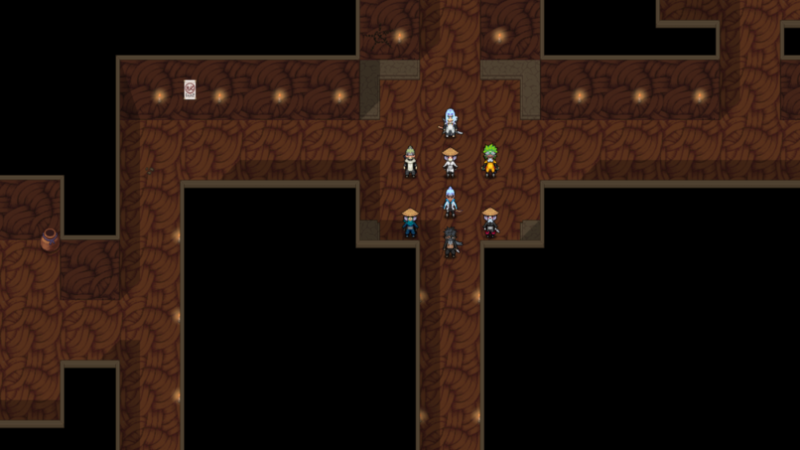 As I slipped into the lair the group of individuals began to come out of the corners of each hall. It wasn't a dream, but rather something else. I clenched my fists as paranoia sunk in. "Good. You have come", Yuma started. I tried to move my lips though I was interrupted as the man kept talking. "Save your questions for another time. First let me tell you why I have summoned you. I have summoned you here because you like me are a Kurama. I have sensed your demonic powers from afar and in fact you wouldn't have known to come here if you did not possess our Kekkei Genkai. Why the blood of our clan only has recently awakened inside of you, I don't know nor do I know who along your family tree was a Kurama, however I can say I am pleased to have another addition to our family." I stood there dumb founded at the information given to me. Why now? Why all of a sudden? I was a street urchin with nothing and now I'm surrounded by those like me. Yuma again interrupted my train of thought saying, "We usually keep children of the Kurama in our base for up to eight years to hone their ability to control their Bijuu cloak. Well, considering we never knew about you until now I don't know what to do with you. Ah, I'm sure it will be fine and you'll figure it out on your own." Yuma laughed and he slapped my back slightly. I was more unsettled than before. "Bijuu cloak? ", I asked puffing. Yuma looked at me now with a worried glance. "Yes, we have about ten percent of the demon Kurama's actual form, but it's still deadly. Hey, you alright there? It seems the psychic episode you had took a number out of you... Well, it was your first time. Anyway, get some rest. This is too much to take in for today. Tomorrow, I'll show you how the cloak works before it gets the chance to get a hold of you." 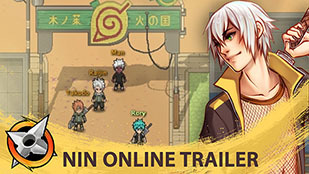 Nin Online is a 2D Free-to-Play MMORPG where you play as yourself in the Ninja world! Choose your village and become the most powerful ninja in it. It is a community driven game, where the community makes decisions for the game world and where RP is strongly encouraged. Copyright © 2018 Nin Online Team. All rights reserved. Community Software by Invision Power Services, Inc.